LinkedIn, a career-oriented online site, recently announced the availability of its lighter app version in more than 60 countries including the Philippines after its first launch in India. Comes in less than 1MB and can reduce data usage by as much as 80 percent, the LinkedIn Lite app offers easier access to opportunities through speed and simplicity. The app also includes key features, including newsfeed, profile, networks, messaging, and notifications. 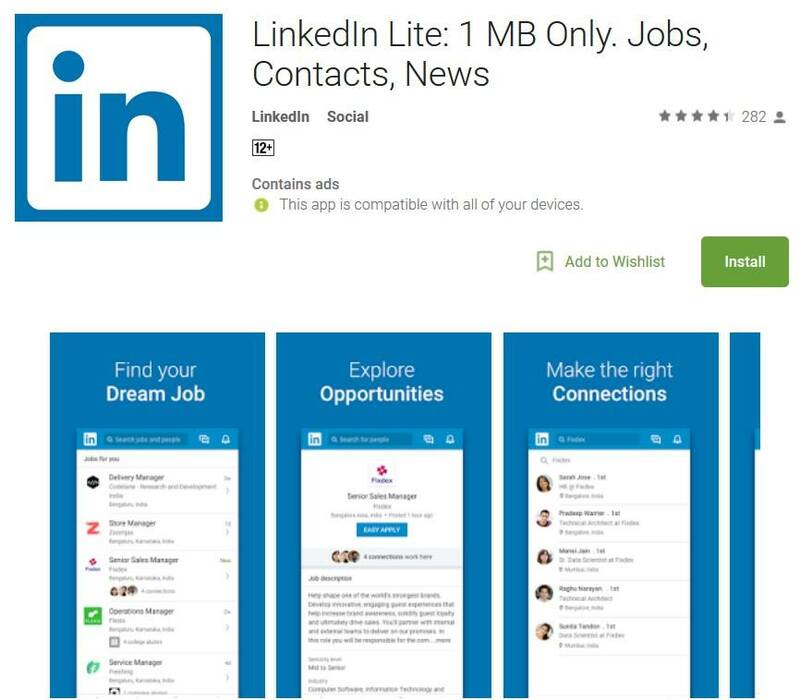 LinkedIn Lite also works in places with a low bandwidth, as the app is accessible even on 2G networks. The company claimed that aside from providing fast, data-light solution for professionals in slow network areas, LinkedIn is also eyeing to expand the economic opportunity through the app. “We recognize that no matter how good, valuable and beneficial a product is, all is lost when people can’t use it. Regardless of their device or location, we hope to level the playing field for all LinkedIn members so they can get closer to their dream jobs, grow their networks, and become more successful,” Akshay Kothari, Country Manager and Head of Product, LinkedIn India, said. LinkedIn now has more than 118 million members in Asia Pacific, which 22 million members were from Southeast Asia region. In the country, it has 4 million active users.